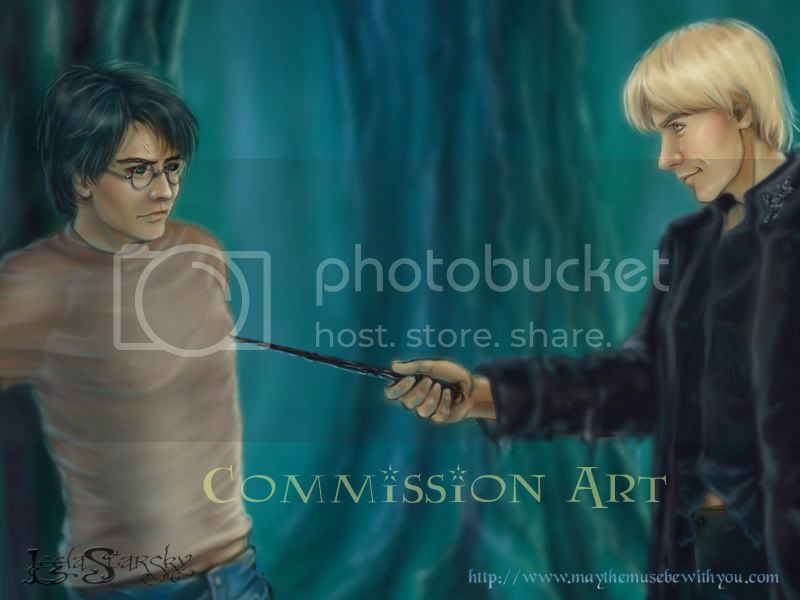 A Harry/Draco for melusinahp, who commissioned me through the Quidditch Pitch Demelza House Fundraiser. 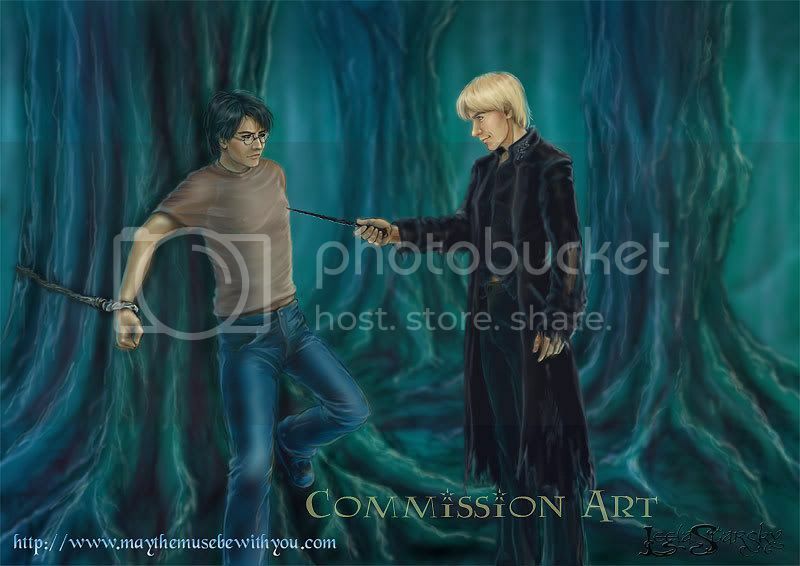 Harry and Draco in the Forbidden Forest. In my prompt I wrote, "Harry looks furious." What amazes me about this drawing is how you captured so much more than that in his experssion. There's fury and fear and even a little bit of curiosity and arousal. It's just fantastic. This page was loaded Apr 19th 2019, 4:38 pm GMT.